Today we’re kicking off a discussion about the private rented housing market and the problems low income households face in renting homes. Over the last few months, we've been looking at issues affecting people on low incomes across the UK. This is an important area of work for the CMA as we need to ensure that the action we take and the markets we look at have benefits for all consumers right across the UK economy. We've been talking to a wide range of organisations and individuals with an interest in these issues but there are many more we would like to speak to and this blog – and our blog on redress – are part of that conversation. We've been told that the private rental market is one where people on low incomes face a variety of problems. We want to hear your views on what these problems are and how they might be put right. Having a safe, secure and affordable home is vital for people. Many tenants are happy with their home, landlord or letting agent. But others, including those on low incomes, are experiencing problems with a significant impact on their lives. They may have more limited access to good quality properties because they have less money. And living in a privately rented property may affect whether people on low incomes can get a good deal for other products and services. Since 2002, the number of privately rented homes has doubled to nearly 5 million. Over a fifth of the poorest 10% of households now rent privately. In England, households living in the private rented sector on average spend more of their monthly expenditure on housing (35%) than those who are social renters (29%) or owner occupiers (18%). The most recent data shows that last year Citizens Advice Bureau received over 117,000 requests for help from private tenants, equivalent to about 1 in every 40 privately rented homes. The most typical problems are around ‘repairs and maintenance’, ‘rents and other charges’ and ‘tenancy deposit protection’. Many low income households may have little choice over which property to rent because of the budget they have available. On top of this some landlords won’t rent to people receiving some types of state benefits, which further restricts access. People on low incomes can't afford large upfront deposits and fees associated with moving into a private rented property or renewing a tenancy agreement. A third of privately rented homes don't meet the government’s Decent Homes Standard. Limited budgets means people on a low income are more likely to find themselves in these properties. Some tenants may feel reluctant to complain about problems because they fear being evicted. They may not know their rights and it can be confusing to work out where to turn for advice. If tenants aren't sure how long they will be living in a property this could impact on their behaviour in other markets, for example how likely they are to switch energy or telecoms supplier to save money. Moving home frequently may also affect the types of products (such as a bank account) that these households can access. We’re very interested in what problems you think low income households face in the private rental market. In particular whether you think there are specific competition and consumer protection problems that the CMA can address with its powers. Please encourage others to read and comment on this blog too. We don't have an investigation open into this sector. Rather, this discussion is part of our wider work looking at issues affecting low income households and how they make use of markets. Whether and how we take any further work forward in this area depends largely on what evidence we find as to how the market is working, and what options are available to us and our partners to address these issues. We plan to start writing up our findings in April so comments will be most useful to us if they are posted on this blog before Monday 30 March. While I believe that a full-blown market investigation is needed into the private rental sector, this discussion is a good start. On the competition side of things, I would urge the CMA to look at exclusivity agreements between agents and landlords (i.e. agreements whereby the landlord agrees to let the property through a sole agent rather than opening it up through multiple agents). Exclusivity agreements may have been relatively harmless in the old days, but the market has been blown wide open by web-based platforms like RightMove and Zoopla. The market benefits of these property comparison websites should be passed on to consumers through better choice and enhanced competition, but this is being severely limited by landlord-agent exclusivity agreements. The average renter starts their search for housing, not by approaching an estate agent, but by scouring the online market for the property that meets their needs in terms of price and location. The problem then is that once the renter has found the property that is right for them, they can only rent that house through a single agent, i.e. the one with whom the landlord has an exclusivity agreement. If the house in this context is the 'product', there is zero intra-brand competition between agents for that product, removing the element of consumer choice. Therefore there is no competitive incentive for the agent to improve efficiency, implement a charging policy that works well for consumers, or even maintain a good standard of customer services. This has directly contributed to the rise in unfair letting fees. Shelter estimates that 1 in 4 people in England and Wales have paid unfair letting fees, with 1 in 7 paying £500 or more. Renters are left with the choice of either paying these fees, or give up on the house that in terms of location and price is right for them. This isn't a real choice. While landlord/ agent exclusivity agreements may not cancel out the market benefits of the online property search portals altogether, it certainly inhibits the extent to which the benefits are passed on to consumers. 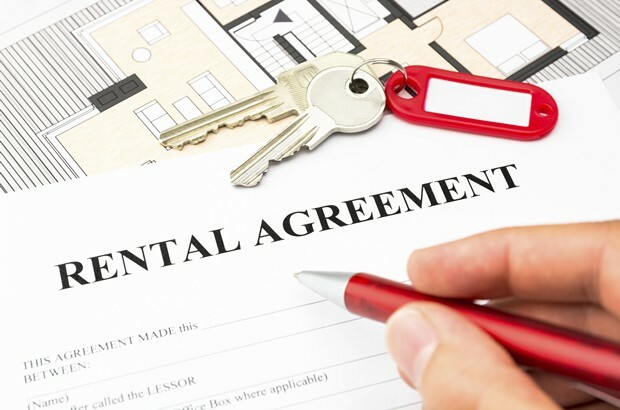 In other countries, such agreements are not common, with renters free to find the property they want online and then try to rent it, but through multiple agents if they wish. Because there is no sole agent with a monopoly over the property, there are no unfair letting fees and the agent is incentivised to treat the customers well so that they don't rent the property through a rival agent. In other words, there is competition between agents. In this context the agent that secures the contract earns their commission and the landlord still gets to chose the tenant they wish. The anti-competitive effect of these agreements are clear. Moreover, many of the most harmful effects (for example unfair letting fees) hit the poorest the hardest because they cannot afford to effectively write blank cheques to agents in order to secure the house they need. I hope this discussion will seriously consider this issue. Ultimately, I also hope that the CMA will look beyond this and launch a full market investigation into a sector where market forces are clearly working overwhelmingly against consumers. A big problem is lack of security. I have lived in my flat for 21 years. Both my daughters were born here, both attend local schools. My eldest daughter is due to take her GCSE's this summer. I have been issued with a notice to quit for 2nd April. The landlord wishes to refurbish the property and charge a higher rent which I cannot afford. Neither can I afford anywhere in the area or even in London. I earn £1800 a year before tax. My partner, about £9000, he is a self employed gardener. We are currently paying £1000 a month. The other 2 bedroom flats in the area are going for around £1700. That is over £20,000 a year. Our combined income after tax is £25,000. Housing benefit is a farce, it often is not paid for months and then they claim to have overpaid you! I currently owe them £7,000 ! Besides, it is now capped. I have learnt to manage on a low income, however the insecurity of eviction is stressful and unfair on the children. Is this the result of a trickle down economy where the rich look after the poor ? The landlords will have to turf me out onto the street because I have nowhere else to go ! WE PROVIDE HOMES FOR PEOPLE IN THE NORTH EAST AREA. A TYPICAL CHARGE FOR A 2 BED FLAT IS £475/500 PCM. WE GIVE PROSPECTIVE TENANTS A CHOICE OF PAYING A MONTH'S DEPOSIT OR PROVIDING A SUBSTANTIAL GUARANTOR, I.E. A PROPERTY OWNER. IN THE LATTER CASE WE ENSURE THAT A GUARANTOR KNOWS EXACTLY WHAT THEY ARE TAKING ON. FOR INSTANCE IF THEY ARE LET DOWN BY THE PEOPLE THEY GUARANTEE WE COULD FILE CHARGE AGAINST THEIR PROPERTY....IF THE GUARANTOR CONTINUES TO BE CONFIDENT ABOUT WHO THEY ARE GUARANTEEING IT'S A PRETTY GOOD RECOMMEND! PROBLEMS REGARDING HOUSING BENEFIT ARE THAT AN INCREASING NUMBER OF TENANTS USE IT FOR OTHER THINGS AND GET INTO DEBT, PARTICULARLY SINGLE MOTHERS WITH TWO OR THREE KIDS. LOCAL AUTHORITIES ARE WELL AWARE THAT MISUSE OF H.B. IS A CRIMINAL OFFENCE BUT THEY DON'T DO ANYTHING TO STOP IT AND BECAUSE OF THEIR LACK OF CONCERN WE ARE NATURALLY WARY OF HOUSING BENEFIT TENANTS...WHEN UNIVERSAL CREDIT ARRIVES HERE WE MAY HAVE TO STOP CONSIDERING THEM ALTOGETHER BECAUSE OF SUCH LACK OF CONCERN BY LOCAL AUTHORITIES. ONE LAST COMMENT IS THAT WITH ALL THE DIFFICULT LEGISLATION EVER STACKING UP AGAINST THE PRIVATE LANDLORD SECTOR THE IMAGE OF A PRIVATE LANDLORD TWIRLING HIS MUSTACHE IS OVER...WE ARE NOW LAND SERVANTS....INDEED WE DISCARDED THIS ARCHAIC IMAGE BY SIGNING OURSELVES 'HOME PROVIDERS'...IT HITS THE NAIL ON THE HEAD BETTER! The current broken Private Rented Sector ('PRS') has been years in the making. It stems from the demise of successive Governments not taking the long term view in maintaining a proportionate balance of social housing stock. The majority of Britons want a safety net for the "poor and distressed" but successive Government's have allowed the most basic need of a decent roof over the head to be managed by the private sector. Whatever their political hue, Government has encouraged the rise and rise of the private landlord and while this has generally been good for most of society both in economic and social terms, it is not appropriate for the more needy in society. The simple fact is, you cannot expect an individual landlord who is effectively running a business (and needs to do so at a profit) to be a social housing landlord. The provision of social housing is the responsibility of the state. Yes, the industry does require to be vastly improved at the bottom end, there are just too many scummy landlords and agents who seek to make undue profits from vulnerable tenants but don't simply attempt to legislate your way out of it. The existing laws are perfectly adequate, they just need proper policing and enforcement. Spend money on beefing up local authorities/trading standards and give them some real teeth to enforce existing legislation. Be careful though in being over zealous, if the private sector can't make a profit, then they'll simply exit thus reducing the housing stock and further exacerbating the problem. Spend money on funding a proper green deal; make it genuinely worthwhile for a landlord to improve the quality of their property. (This will also have a positive effect on the wider economy via the multiplier effect). For goodness sake, start building more social housing under the control of central Government. Housing Associations are all very laudable but they're ineffectual in practice. Stop trying to make everyone a house owner, there is nothing wrong with being a long term tenant. Renting encourages social mobility, it encourages individuals to invest in property as buy to let landlords and therefore drives a big chunk of the overall economy. This mantra of home ownership is a relatively new phenomenon (40 years). Factor in the cost of a mortgage over 30 years and it just doesn't make sense to buy, it is much cheaper to rent with far more flexibility for the tenant. The PRS houses circa 20% of the population; increase this to 50% and the nonsensical boom/bust roller coaster of property prices would be significantly evened out. Yes, people want, need and deserve security of tenure. However, it is a simple truth in the PRS that "No Decent Landlord Will Evict A Decent Tenant Without A decent Reason' Landlords want stability too, they want long term tenants and for the most part maintain their properties to a high standard. There is definitely no need to bring in either rent controls or longer fixed term tenancies - these will simply discourage private landlords and their mortgage lenders from participating in the sector. If we can briefly imagine a society where there are no letting fees, secured tenancies and for the low income no deposits payable which is what seems to be the end game, will this resolve the problems in the PRS? The answer is simply no. Firstly these measure being considered do nothing to address the real issue of lack of building social housing but for the politicians, this doorstep rhetoric is far more appealing to the voter than actually admitting we have failed you for the last 20 years. Most Landlords undertake improvement and redecoration in between tenancies as it is easier for them to complete these tasks. If we provide longer tenancies, the opportunity for refurbishment or redecoration decreases because it is not always practicable to do these when a tenant is living in a property. Also surprisingly tenants don't like or want tradesman wandering through their homes when they are not there. In the case of low income and with the more people on Zero contract hours, they cant afford to stay at home whilst these repairs are being done. Houses will therefore decline in standards and we will return to the pre 1988 Housing Act days. The deposit legislation was brought in to protect the tenants monies. Now we want to consider abolishing deposits altogether. We don't hire car companies taking a deposit for damage so why do we object to this when renting something far more valuable than a car. There is a robust arbitration scheme regarding deposits and figures released by the DPS Scheme show clearly that tenants are not having their deposits withheld unnecessary and in fact its Landlords who are finding out that you can not make claim to deposits without the proper cause. What is never mentioned and is either chosen to be ignored or not known, is when reports claim Claimants are being discriminated against, it is reported that this decision is that of the Landlord or tenant. The truth is that many mortgage lenders insist that the tenants are employed and many insurance companies wont provide contents or building insurance where the tenants are claiming benefit. In short, stop having a go at private landlord,. get professional private companies building the right sort of housing rather than inefficient housing associations, And then stop selling them off cheap keep the stock in the system. Simple! As a landlord, I cannot afford the high cost of evictions and the long delays while rent it not being paid. The fact that the court system is at breaking point and local councils tell tenants not to leave until the day the bailiffs arrive make it even worse. An order for costs or CCJ is not enforceable on “benefit tenants”. Therefore I am unlikely to ever rent to someone on benefits, and hence these people are forced to rent from the worse landlords. If the law was change, so I could have a tenant removed by the police within 14 days of them not paying the rent, I would reconsider. I try to avoid using agent that charge high fees to tenants, as it puts tenants off from renting my properties. But agents don’t even have to inform landlords what they charge tenants! A first step is clearly making all the charges public. Thanks for your comment, Ian. We’re particularly interested in your comment about agent fees. How do you think improved transparency of fees would help secure better outcomes for consumers in this market? For many it would not be considered morally right to have the police come in after only a two week delay in paying rent, surely there could be insurances paid for that would provide a better outcome than this for children and families. Renting on a low income is often humiliating and extremely costly. In my experience Councils often ignore requests for advice and options, or worse suggest that you wait to be evicted - which no Mother would ever want her family to have to go through, not to mention the debt and reputation it would leave you with. The key issue I think is just the lack of affordable rent properties. If there was more choice, tenants would choose to go through the letting agents who did not take extortionate fees or 'taking-it-off-the-market' type deposits that you never see again all in the name of keeping the landlord secure in the meantime of course those on low income loose another few hundred and take a few steps back from providing their family a safe secure home. It becomes a trap, the more desperate you become to find someone willing to take on someone with a low income, the more likely you are to loose money, time and the ability to ultimately pay for that same home. It is possible for letting agents and landlords alike to choose to have a conscience in their dealings with low earners and still run a business and make a profit. The General Consumer Council for Northern Ireland is an independent consumer organisation, working to bring about change to benefit Northern Ireland consumers. Our aim is to ‘make the consumer voice heard and make it count’. The Private Rented Sector in Northern Ireland has grown significantly over the last ten years, with almost one in five people now living in the sector. Many factors will have contributed to this increase, such as the number of repossessions (around 14,000 in the last five years), affordability problems for first time buyers and a shortage of social housing. We carry out research on a six monthly basis to ask consumers how they are coping financially and to identify areas of concern. The Consumer Council has been working on the issue of financial exclusion for some time, and we work with many community and voluntary agencies, as well as social housing groups, to educate and inform consumers on their rights and how to make the most of their money. Our research has highlighted some worrying statistics in relation to private tenants; the results largely mirror the findings for social tenants but private tenants are the group who say they are most likely to lose their home in the next year as they struggle to pay their rent. Social housing groups often have a range of financial inclusion initiatives, and many have in house money advisers to help tenants if they facing financial difficulty. Private tenants do not have the same support network, and as such they are a difficult group to reach when trying to educate them on their rights as a tenant, as well as inform of organisations who can offer free help and advice in times of financial or budget problems. •	Private tenants are the group who say they are most at risk of losing their home within the next year because they cannot afford the rent, higher than social tenants and home owners. Research published by the NI Housing Executive has shown that nearly one fifth (19 per cent) of private tenants are unemployed, compared to eight per cent of all households. Additionally, the Family Resources survey in Northern Ireland has shown that 43 per cent of households in the private rented sector are in low income (poverty), compared to 33 per cent in the social housing sector. We believe that more work needs to be done by a range of agencies through a collaborative approach to reach private tenants, to inform them of their rights as well as of help that is available, given the greater financial pressure they face. Thanks for your views, Rachel. What do you think are the best ways to help improve tenants’ knowledge of their rights and the advice available to them? The private rental market is not the right place for low-income tenants. The use of the open market is really a problem for the state, not providing sufficient social housing. The private rental market is a business which as a minimum is their to make profit, just like any other business. That is why private landlords enter the market with their capital and expect a return. To allow someone to use a property that they cannot afford, is no different to trying to buy a property they cannot afford. No-one seems too concerned about mortgage lenders rejecting those that cannot afford. Yet their is encouragement to get the private market to enter into agreements with tenants who cannot afford to rent and make it even harder to get them out and worse, recover any losses. While most landlords/tenants work well together, their are some extremes on both sides, bad landlord and bad tenants. From a landlords or letting agents perspective to allow a tenant who cannot afford to rent or be allowed to qualify a tenant suitability is ludicrous and dangerous for all concerned. Bad tenants use the current system to their advantage and the idea of non-retality evictions may seem a good idea, but on the other side this is open to abuse by professional non-paying tenants to prevent a lawful eviction at the cost of the landlord which often runs into £1,0000's and no protection for damage caused by not having a deposit. If I came into your property and wrecked it, would you roll over and let me get away with it, I think not. The mentality today seems to be that if tenants can't afford or behave, tough on the private landlord. The state needs to address housing for these people as it used to do. It is also worth note that it is a fact that local authorities refuse to house tenants with bad behaviour and yet they are more than happy for the private market to take them in and make it difficulty to get them back out and near impossible to recover damages. If a tenant cannot afford, they cannot afford and should not be in the private market. Manipulating the system to get them in, doesn't help anyone including the tenant. "Since 2002, the number of privately rented homes has doubled to nearly 5 million. Over a fifth of the poorest 10% of households now rent privately" that hardly suggests a barrier to entry or a lack of appetite for private sector rentals?! I suggest that the emergence of the Private Rented Sector, post Housing Act 1988, has created the greatest modern evolution in UK home ownership and occupancy. Thousands of small scale private landlords offer diversity and flexibility and that market is now increasingly supplemented by larger institutional investors with consumer (tenant) welfare very much at the heart of their propositions. Heavy handed rent controls will certainly lead small scale landlords to consider exiting the sector and this will instantly exacerbate any perceived problem for low income tenants in terms of choice and affordability. Market forces of supply and demand appear to be relatively harmonious in most parts of the country. London appears to be an exception but that does not automatically mean that a policy which might assuage the problem in the capital should be applied elsewhere. The lack of housing supply in the public rental sector is also a direct cause of the uplift in demand from private sector tenants, particularly in the low income bracket. A meaningful policy to provide public sector housing for those with low income/tenure security issues would be a positive but only if that is not instantly linked to a discounted 'right to buy' scheme which removes the property from rental stock in the (increasingly) short term. That policy has been self defeating the public/affordable sector housing supply chain for a generation already. Turning the spotlight on lack of affordability for any household group is, first and foremost, a sad reflection on the lack of growth and drive in the economy. We have come through a protracted downturn and households are bound to have been stretched. That is not to say that heavy handed rent control and regulation should be applied to private landlords as a mechanism for raising disposable household incomes. Many landlords use their rental portfolios as a pension after many years of working hard, and there are often occasions when the deposit taken from tenants does not begin to cover arrears or damages when a tenant leaves, which causes a loss. To take no deposit would take the landlord's risks up to a point where renting out his property would not be a sensible way of risking his pension. Taking a deposit is a normal procedure in all walks of life when you take possession of something that belongs to someone else, be it hiring a car or a rowing boat on the lake in the park. There is also a failure to realise that one large source of rented properties is with landlords who are not professional investors, but may simply be people temporarily living abroad, or in other circumstances, who need to keep renting out the property to pay the mortgage. Some will be in negative equity and cannot sell, so rent out to pay the mortgage, having moved back in with family or friends. It is not practical for them to commit to lengthy tenancy terms, nor do they have the financial leeway of not taking a deposit. I have just checked the terms of a few mainstream mortgage lenders on buy to let schemes: without exception, each one insisted on there being a fixed period assured shorthold tenancy in place which means that an indefinite or rolling periodic contract is not acceptable - therefore lengthier tenancies will need to be renewed (in law, its a fresh contract) rather than becoming a periodic month to month arrangement. All but one of them forbade the landlord from accepting tenants who were dependent on benefits to pay the rent - so maybe the landlords and their agents are being bashed unfairly. However, all the mortgage companies are doing is taking steps to make their lending less risky, as they see it. And if they stop providing the funding for landlords to purchase rented properties, then that again will hit supply and make matters worse. Whilst it is true that in our area properties are usually rented within a 2-3 weeks, there is still plenty of choice for tenants at most price brackets, so unlike one of the posts above, it is not the case here that there is only one property that tenants can afford and therefore they have to take that one and put up with that landlords agent. A quick look at Rightmove (which anyone can do! )shows that in most towns there is a range of property available at even the lower pricing bracket, so I do not think our area is unusual in this respect. It seems that some of the measures being suggested can only lead to landlords leaving the PRS and taking their properties with them, or otherwise make it impossible to acquire them in the first place. This will lead to even less choice for tenants and an increase in rents, as supply will dip sharply below demand. And that's before we look at rent capping, which was a spectacular failure in the 60s and 70s when lots of habitable housing stock lay empty as a result. If there is an agenda which seeks to destroy the PRS so that the pressure to return to council or government housing schemes becomes irresistible, then there is nothing wrong in the ideas being proposed. If however, there is a genuine and credible desire to consider what reforms might be helpful to all parties, then there needs to be a) much more evidence that there is a genuine understanding of how the PRS economy actually functions, b) confidence that policy is not being wholly driven by a narrow if vocal and active lobby and c) that statistics being used in decision making are truthful and verifiable across the whole of the PRS in England and Wales, not just tamely accepted from a pressure group. I am not saying that there are no bad landlords and no bad properties and practices, nor that life is not difficult for those on low incomes, but the problem needs accurately quantifying, and we need a more wide ranging debate about possible solutions that are not likely to throw the baby out with the bathwater. Thanks for your comments, Shaun. We would be interested in your views on what solutions you think might improve outcomes for consumers in this market. Tenants on low income are often those that receive some or full housing benefit payments. If the housing benefit or universal credit system actually worked then renting to people on low incomes would be much easier to landlords. As soon as there is a change in circumstance for a tenant, then the housing benefit is stopped. At some point in the tenancy your tenant WILL fall into arrears, every single one of mine has. They mostly come good but for a while you are in effect acting as a housing charity, sometimes there are periods when the tenant is not eligible for housing benefit but the tenant does not pay you the rent, again you are a charity. I still have to pay my mortgage even though I am not paid rent. I agree that homes should always be to a certain standard, it is not fair that the poorest must live in the worst conditions. There will always be rogue landlords who will ruin the party for everyone else, however landlords should not all be tarnished with the same brush. Setting some kind of minimum requirement as the Green Deal is doing is a good idea, everyone should expect double glazing, adequate heating facilities and ultimately a safe place to live. Those on low incomes should not expect anything for free. A landlord should still be paid a deposit to cover potential damage or loss of rent. Rent should also be payable in advance, we do not pay for our groceries a month after we have eaten them. Maybe there should be more help for those on low incomes to get this money together so they can have the wider choice of properties, if the PRS is to continue to fill the gap due to the lack of social housing. A Help to Rent scheme? A professional landlord would always see to a maintenance problem reported by a low income tenant or a high income tenant regardless. However if that low income tenant is months in arrears due to non payment of rent and benefit issues then maybe that landlord will struggle to physically afford the cost of the maintenance. If a tenant fears eviction over reporting a maintenance issue then there must be something more to the scenario. A landlord will not evict a tenant simply because they reported an issue. Landlords want long term tenants, who will pay the rent on time, keep open lines of communication, look after the property and inform you of maintenance issues promptly so they can be resolved before turning into something bigger and more costly. Whether that be a person who is on low income or higher income it does not matter as long as the above is adhered to the tenant landlord relationship will run smoothly. Joseph Rowntree Foundation (JRF) welcomes the CMA's interest in the Private Rented Sector (PRS). The number of people in poverty in the private rented sector has doubled in the last decade, so it is vital we understand the experience of private renting for those on low incomes. The increase in those housed in the private rented sector is forecast to continue. By 2040, we estimate one fifth of the English population will live in the private rented sector. Over the same period, rents in the sector are forecast to increase by 90% in real terms - more than twice as fast as incomes (40%). This will push up to 50 per cent of private renters into poverty by 2040. At 55 per cent, private renters in the bottom fifth of the income distribution spend the highest proportion of any group on housing costs. As well as cost concerns, there are issues of quality. The CMA have highlighted that 1/3 of private rented homes fail to meet the decent homes standard. The number of homes in the PRS failing to meet this standard has risen in recent years (from 1.2 million in 2007 to 1.4 million by 2012). Over the same period, the number of non-decent social rented homes has halved. This means private rented homes have the highest rates of non-decency. They are also the most likely to suffer from damp (one in ten). Finally, termination of private rented tenancies is now the most common cause of homelessness. The number of homelessness acceptances caused by PRS tenancy terminations has doubled in the five years from 2008 to 2013. The PRS can provide a flexible form of housing which many people welcome. However, it is vital that we understand more fully the increasing role it is playing in housing the poorest in society. Increasing the supply of social housing is important to contain housing costs and avoid rising poverty, but JRF's evidence shows a renewed focus is also needed on improving the supply, quality and stability of housing in the private rented sector. Thanks to everyone who has commented on this post so far. It’s really interesting to hear your views on these important issues. It’s worth emphasising that this discussion is just one way in which we’ve been exploring issues affecting people on low incomes over the last few months. We’ve been speaking with a wide range of people about this and how the CMA might be able to help. Please do continue to provide your views on the private rental sector and on our post about low income households and redress too. The Association of Residential Letting Agents (ARLA), of which I am Managing Director, is the UK’s foremost professional and regulatory body for letting agents; representing over 7,500 members. Our members operate to professional standards far higher than the law demands and we campaign for greater regulation in this growing and increasingly important sector of the property market. It is important to remember that rent costs are set by market forces and there is consequentially a strong correlation between house prices and rent costs. As house prices continue to rise apace throughout the country, it is likely that rent levels will rise as a result. This issue is further compounded by the severe lack of housing in the UK, which has left some parts of the country with more than ten prospective tenants for every rental property. ARLA wants to see the politics taken out of housing and calls on the next Government to introduce a 20 year housebuilding programme that will continue unabated regardless of the outcome of future general elections. Aside from rental costs, the deposits required by landlords, are also a familiar part of any tenancy agreement. Such deposits are a vital part of the rental process as they safeguard the landlord against rent arrears and property damage, should the tenant breach any conditions of their rental contract. Whilst therefore essential, it is also important to remember that the deposits are not owned by the landlord and should always be returned to the tenant at the end of a tenancy as long as the tenant has not breached any of the terms of the rental agreement. ARLA welcomes the recent change in legislation, through the new Consumer Rights Act, that will ensure that the fees letting agents charge are transparent and clearly publicised. Our recent report showed that nearly three quarters (74 per cent) of ARLA Licensed agents charge no more than £250 in tenant fees. These fees cover the cost of essential items that our members must carry out during the lettings agreement process such as reference checks, the drafting of tenancy agreements and the management of tenancy extensions or renewals. Indeed, if agents follow a fair pricing structure, they will not make a noticeable profit on charging for these actions. Nonetheless there are of course some landlords and agents who do take advantage of the cost of tenant fees and ARLA strongly believes that better regulation is needed to ensure that consumers are not taken advantage of within the private rented sector. ARLA wants to see the introduction of safeguards that will see all tenants paying a fair price for the service they receive. Additionally, the issue of non-compliance with property standards is clearly a problem for some tenants in the sector. Whilst it is true that some landlords do not maintain their properties to the required standards, it is important to remember that most landlords face ever increasing financial pressures themselves, such as mortgage repayments, service charges and insurance premiums to pay. These financial pressures could be easily overcome through simply changes to tax policy, such as the introduction of reduced rates of VAT on property improvements and the ability to offset the cost of maintenance against Income Tax rather than Capital Gains Tax. Indeed, ARLA would like to see further changes to CGT such as the introduction of roll-over relief and taper relief, which are already available to businesses owners. These reforms would leave honest, hard working landlords with a greater amount of rental income and will ease the financial pressure that they are under; thus allowing them to reinvest back into the maintenance of their portfolios. However, a recent change to the law has only exacerbated this problem. The abolition of the Landlords Energy Savings Allowance (LESA) has actually made it more difficult to finance maintenance and improvement works to properties. Social landlords receive a significant level of assistance from central Government, being provided with billions of pounds of tax payers money to improve the condition of social housing stock, at a time when private landlords are often required to fund such works themselves out of the rent money they receive from their tenants. Of course, ARLA accepts that some unscrupulous landlords will fail to maintain their properties to the required standard regardless of the level of funding available to them. In these cases enforcement action is clearly needed but it is essential that the action taken is sensible. Local authority enforcement teams are now so overstretched and under resourced that prosecutions must be made simpler. Rather than Court action, we advocate the introduction of Fixed Penalty Notices that will reverse the burden of proof, thus expediting enforcement. Lastly, the issue of retaliatory evictions by landlords has become a keen focus of legislators in recent months. Parliamentarians have sought reform of Section 21 of the Housing Act 1988 – no fault possession – through the introduction of the new Deregulation Act in Parliament. However, evidence suggests that retaliatory evictions are not as much of a wide spread problem as many believe. Based on research that ARLA carried out on figures in the 2010 English Housing Survey, we found that only 7,120 out of 3,967,000 tenancies ended as a result of retaliatory evictions. Moreover, regaining possession of a property using Section 21 can be a costly experience for landlords given that rent is unlikely to be paid during this period, after which the landlord has to then remarket and refurbish the property. On balance it is therefore cheaper for a landlord to make any repair to a property requested by a tenant than to serve the Section 21 notice. Clearly however the problem has not been completely eradicated and ARLA is broadly supportive of efforts to stop landlords from evicting tenants in response to a genuine disrepair issue. However we believe that the legislative approach taken by Government to eradicate this problem will cause a number of unintended consequences. The new provision will mean that protections previously afforded to compliant landlords may be eroded by dishonest tenants using the new powers to defend against legitimate possession proceedings; possibly by intentionally causing damage to properties. ARLA therefore believe that a legislative approach to this problem is misguided and calls on the new Government to reconsider this approach in favour of enhanced regulation of the lettings industry. ARLA welcomes the work of the CMA to investigate the problems that persist for low income households in the private rented sector and believes that any effort to improve the market for both tenants and landlords alike should be supported. We are therefore willing to be a part of, and submit evidence to, any larger inquiry that the CMA may decide to undertake on the back of the responses received from this blog. Different groups have very different experiences of the Private Rental Sector (PRS). Amongst those on low incomes, benefit claimants have a particularly problematic experience. They have a very limited pool of housing to choose from, since many landlords do not accept benefit claimants as tenants. Furthermore, this has got worse in recent years: according to the National Landlords Association this number fell from around half in 2010 to less than a quarter in 2013. The lack of choice benefit claimants have in the PRS market undermines the reasons housing benefit was brought in to begin with. Public subsidies were moved from social housing and into the PRS market. This was intended to make the housing markets work better by allowing low income tenants to choose a home that is most suited to them. This in turn should have driven up standards of housing conditions, as low income tenants were now able to choose better quality homes. Restricting benefit claimants to a small pool of (mostly poorer quality) housing undermines these aims. There are many reasons why landlords may be reluctant to let to tenants on housing benefit, but three are of particular concern. First, some landlords are concerned about the administration of housing benefit. Delayed payments are common. In 2008, rules were changed such that the majority of housing benefit payments went to the tenant rather than directly to the landlord – a change that was not popular with landlords as it was seen as creating additional risk. Evaluations of the effect of making this change have shown an increase in arrears. And in cases where payments are made directly to landlords, they are not made in advance (as is usual with other private tenants), but at the end of the month. Plans for Universal Credit, however, will see all payments being made directly to tenants in future. Second, landlords with tenants in receipt of housing benefit have limited options with regard to their buy-to-let mortgage and buildings insurance. Many buy-to-let mortgage companies, and many insurance providers, provide their products on the condition that landlords do not let to tenants in receipt of benefits. This prohibits many landlords from accepting benefit recipients; and those that do have limited choice in the mortgage and insurance markets. Third, there are important legal differences between tenants in receipt of benefits, and other tenants. If a tenant is in rent arrears, landlords can take them to court. But landlords are generally not able to take a tenant to court if they have been in receipt of housing benefit. Furthermore, if a tenant makes a fraudulent housing benefit claim, the local council is able to reclaim overpaid housing benefit directly from the landlord, even if the landlord was not aware of the claim. Each of these issues provides a disincentive for landlords to let to benefit recipients. This in turn reduces competition for business from benefit recipients, reducing the choice of these tenants. It also undermines some of the main aims of housing benefit – to increase choice and drive up housing standards. And it reinforces a distinction between housing benefit claimants and other tenants, separating benefit claimants into their own sub-market. Another key issue is how landlords, mortgage companies and insurance providers will respond to the planned full introduction of Universal Credit (UC). A key element of UC is the integration of six benefits and tax credits into one unified credit payment. There will no longer be an identifiable group of ‘housing benefit recipients’, since anyone claiming one or more benefit or tax credit – from Employment and Support Allowance to Child Tax Credit – will simply be a ‘Universal Credit recipient’. The number of Universal Credit recipients is likely to be substantially larger than the current number of Housing Benefit recipients. In particular, it is likely there are families currently claiming Working Tax Credit and Child Tax Credit – but not housing benefit – that will in future be classed as ‘Universal Credit recipients’. In the PRS market, it is crucial to understand the ways in which landlords, mortgage companies and insurance providers will respond to this. In the absence of a ‘housing benefit’ criterion, mortgage and insurance companies may respond by preventing landlords from letting to anyone in receipt of Universal Credit. But this will affect even more people than it does currently; and may affect families in particular. A one child family earning £25,000 can currently claim Child Tax Credit; and for larger families the income threshold is even higher. Under Universal Credit, even more tenants may have a restricted pool of PRS housing to choose from. Perhaps mortgage and insurance companies will use a different criterion for determining the type of tenant to whom the landlord is allowed to let. Even better still, they could drop restrictions on tenant type altogether. But a lot is likely to depend on how the legal differences between benefit recipients and other tenants are interpreted by the courts under Universal Credit. In any case, there is at the moment considerable uncertainty for PRS benefit recipients, and it is crucial to investigate how each of the important players in the market will respond. This would go some way to maximise competition and improve choice and value for low income tenants. Shelter, the housing and homelessness charity, welcomes CMA's interest in the private rented sector, and the emphasis on low income renters. Shelter helps millions of people every year struggling with bad housing or homelessness. We provide specialist advice and support on the phone, face to face and online, and our legal teams can attend court to defend people at risk of losing their home. We know first-hand that the ballooning private rented sector contains low income households struggling to act as consumers in the rental market. As a result low income renters are left living in unstable, and often poor accommodation. Last year, we took more than 100,000 calls through our helpline and 45% were about private renting. Our web advice pages on private renting were viewed 2.1 million times. In an overheated market landlords know they will find tenants easily, and have few incentives to invest in the condition of their property. Property conditions in private rented accommodation is worse than any other tenure – three in ten would fail the Government’s own Decent Homes standard. 9% of calls to our helpline from private renters are about dampness or disrepair. Renting is dominated by short insecure tenancies and landlords can ask tenants to leave often with as little as two months’ notice. Some renters may be forced to leave because they can’t afford the rent. But low income renters are now struggling to find anywhere they can afford. The end of private tenancies now accounts for three in ten of all homelessness cases, and is the single leading cause of homelessness. 8% of the calls we took were about landlords seeking possession. 3% of the calls we took were from private renters needing advice about homelessness. Low income renters are unwilling consumers, and many would prefer to be in social housing - but just under half concede that they could be in private accommodation for the rest of their lives. Currently, renters have no way of establishing whether their prospective landlord is reputable before entering into a tenancy agreement. There are few requirements on landlords to professionalise and less than one in six landlords we surveyed are a member of any trade body or scheme. There are only a handful of consumer friendly ways to check whether a landlord is meeting their legal duties – but the law is uneven and not all landlords will be subject to the same duties. We recommend that national government introduce mandatory training of private landlords and robust national register, which all private landlords and lettings agents would be required to join. Low-income renters can find it difficult to find a landlord to take them on, and the money they need to move. Two-thirds of landlords we surveyed said they preferred not to let to renters on housing benefit and half have a blanket ban. More than 1 in 4 low income renters find their property through letting agents and may face fees they can’t avoid because they’re unable to shop around. Local authorities consider setting up social lettings agents to help low income renters access private tenancies, and minimise the cost to them of moving. Letting agent fees are banned to ease the cost of moving for tenants. Once in a tenancy it can be difficult for renters to challenge their landlord. Our Sustain research found that conditions of private rented property sharply worsened a few months after a tenancy started. However, our survey of tenants across all income brackets found that the majority of those with ‘cause to complain’ did not approach their local council, due to a mix of low awareness, not feeling it was serious enough and, worryingly, because they were anxious about the response of their landlord or agent to any complaint (17%). Unsurprisingly, renters fear eviction – there are few grounds on which they can challenge an eviction, and when they do this is played out through the courts, which can be both daunting and costly for renters. It can be also difficult for a renter to get compensation if they incur financial costs when illegally evicted. Longer term tenancies should be introduced to increase stability for tenants, which would mean predictable rent rises for tenants and ensure eviction couldn’t take place without good reason. Government look at the suitability of county courts to hear disrepair and other housing related cases and explore options for developing an alternative route for private rented sector cases to be heard. I think that the issue for those on low incomes is they need to be provided rental accommodation at a rent they can afford. There are some areas around the country where this can - and is - being provided for by the private market. Areas where HMOs can be created and properties rented out for the social rental average which is around £350 per month, PRS can cope. The only problem is these are often two bed victorian terraces which aren't always in the best condition. They are subject to damp and not particularly energy efficient, so there is often a condition issue as the rents aren't that high, there isn't necessarily the rental income left over to carry out the maintenance work. The other issue is, not all, but some on low incomes need social support eg help with alcohol, mental illness and other problems. Just being put in the PRS sector with little on-going support can cause problems for both sides. The blog says 'landlords won't rent to those on benefits'. It is important to be aware that most mortgage lenders and insurance companies won't allow this - it's not down, in the main, to the landlords themselves. This is exactly the same reason why short ASTs of six months are offered. We need to be clear what mortgage lenders and insurance companies role is in the PRS, not just blame landlords and letting agents for 'all the faults' of the sector! In areas such as Reading it is still possible to rent to those on low incomes, but the deposit is normally quite hard to pull together. This shouldn't be an issue. I work with Wokingham Borough Council, having rented a property to a single mum, below market rent. They loaned the deposit (up to £1,500), £800 of which was first months rent, £700 was given as a deposit. The tenant then paid this loan back to Wokingham on a monthly basis. However, areas like Bristol and London and anywhere where the rental income is 5% or less yield versus the property's value means the landlord - if renting legally - would actually lose money on a monthly basis. So in these low yielding areas, only properties bought many years ago can be rented at a discount. This means renting to those on benefits is impossible via the PRS as the numbers just don't stack up in today's market. Basically we need to accept you can't outsource social housing to the PRS in areas where the PRS can't afford to supply it. Putting caps on private rents without working out the cost of delivering it won't work and is a waste of everyone's time and money. This is where the state absolutely needs to step in. The reality is there is some place for the PRS renting to those in temporary need of accommodation. For those that are on low incomes and need long term properties to rent, relying on the 78% of people who own just one property won't work in an unregulated market and 'vilifying' and 'blaming' landlords and letting agents for what is essentially a lack of social and affordable homes is unfair. It's time MPs and local authorities started to accept blame for the problem they have caused if they really want to solve the crisis. One thing that everyone seems to be missing though is we don't need to have a housing crisis. There is plenty of private money that people want to invest in housing. There is plenty of government/LA owned land and if the two are matched together, we can solve this housing crisis - and doing so create great jobs for young people and deliver £2.80+ return for every £1 spent - why are we not being more ambitious! And in my view, where private money and public land is put together there are plenty of great people in the GLA for example, NHF and Housing Associations, Developers, Landlords and Letting agents as well as financing and insurance companies that together can solve the crisis - we just need to work together, not 'fight' each other. The PRS was never designed to deal with the Housing Benefit / Local Housing Allowance / Universal Credit systems that have existed over the last 19 years that I have worked in the sector. Some of us choose to deal with benefit tenants, having been at the "bottom of the pile" when I was a child. Deposits and first month's rent is a must. If not, then you can move in for "no money down". This means that the tenant has no risk whatsoever and no stake in the condition of the property. Why should they look after it, it cost nothing? This strains out those who should be housed by RSLs (Registered Social Landlords), who provide "affordable homes". For affordable read subsidized. The cost of building is not less, none of the workers work for less, The Housing Corporation makes up the difference out of taxation. Successive governments have tried to cut the social security bill, Housing Benefit being one of the largest identifiable parts. Reducing the amount of Housing Benefit, to the lowest 30% of rents, has simply cut the number of properties that a person on Housing Benefit can choose from. Given the complications of the system and the likelihood of a tenant using the largest amount of money that they see in a month, to deal short term with a financial crisis. Many landlords, do not understand why individuals behave in this way. Again this risk, restricts supply. No amount of restrictions and incentives by well meaning Politicians, who have never been at the "bottom of the pile" will change this behaviour. A review of RSL's policies and behaviour would be fair, as they distort the market. Why is an RSL home a property for life? Should RSL tenants move to smaller properties once the children have left home? This system works in Australia, with a review every 10 years. The problem is not the PRS, which is not designed to deal with benefit tenants, though some of us choose to do so. The market is distorted by RSLs offering a similar product at a state subsidized price. Then the financially illiterate in power, not understanding why, those of us who receive no state subsidy, cannot compete on price. Widening the study, to at least understand how the RSLs distort the market and a study of the benefits system and its effects on the rents paid would be a step in the right direction. Note also that is in some areas of the UK, landlords have no choice but to accept benefit tenants. The market is not uniform. Being London based and reading all the media coverage, written in London, gives a very distorted view and does not give a whole market picture. My concern is that a solution that suits London will not be applicable beyond the M25.